I stumbled upon Ah Ho Teochew Noodle when the Wanton Mee shop (See Da Jie Wanton Mee review here) at the beginning of Sam Loeng Road was not opened on that day. I decided to stop at this coffee shop just to get a quick bite. Since there is a short queue at this stall, I decided to join the queue. While queueing, something caught my eyes. 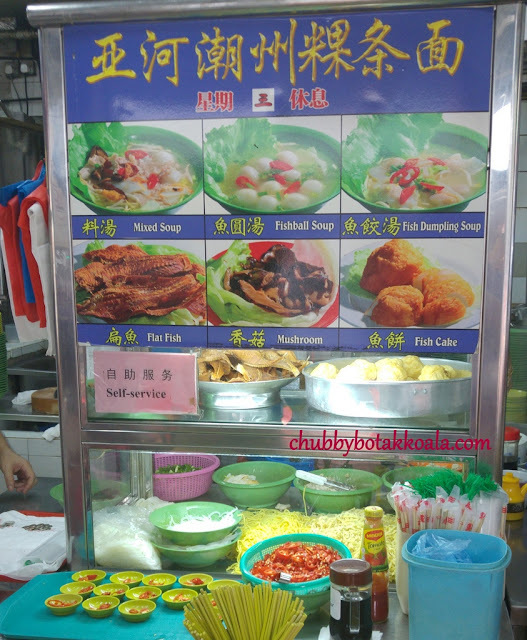 Why would a normal noodle shop allow you to order Fried Tee Po ( Fried Flat Fish) separately, the traditional ingredients for Teochew Noodle soup that is bitter yet give the distinct OMPH taste to the dish. As most of the customers ordered soup noodles, I decided to order Mee Kia Soup (Large- $4.5 each). Another sign of promising noodle shop is they allowed you add the pork lard yourself, WOW. First slurp, the soup is robust and the combination of the sweetness from the pork bones and the Oink Oinkness from pork fats. 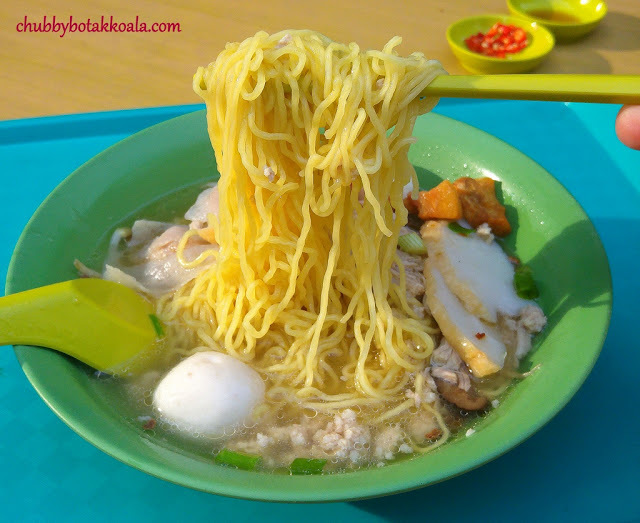 The noodle is cooked to al-dente and each ingredient which include minced pork, sliced pork, fishball, fishcake, fish dumplings mushroom, tee po and pork lard added multiple layers of taste in this dish. Definitely a lot of ingredients for a simple bowl of noodle. 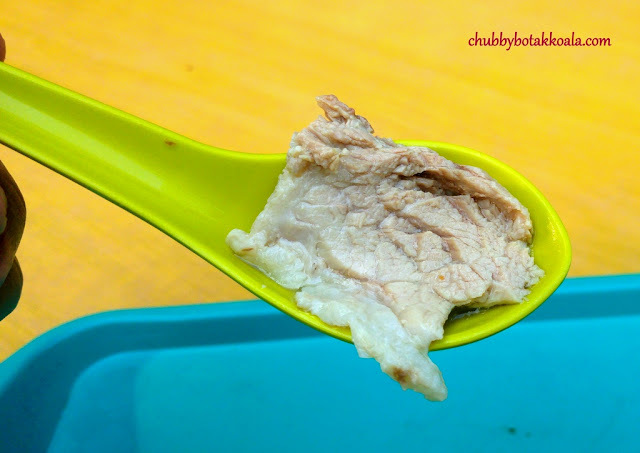 The minced pork and sliced pork are tender and succulent. 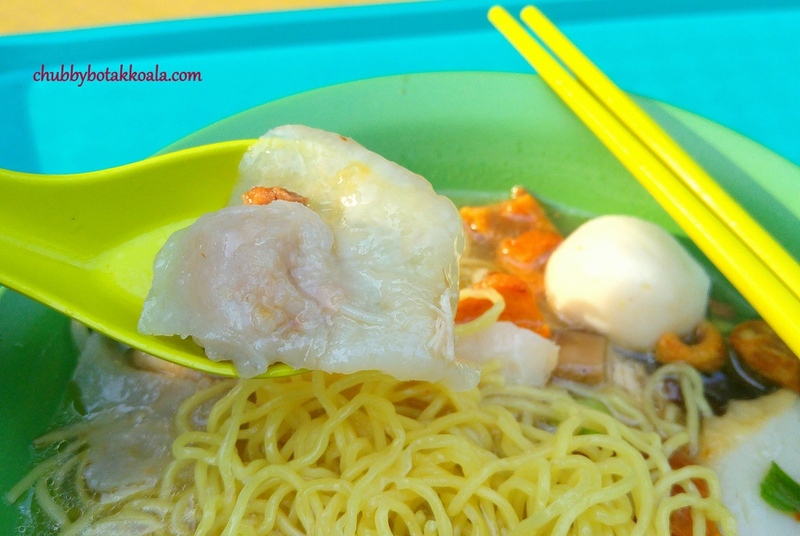 Fishballs are bouncy and tasty, slightly better than average fishball noodle shops. The fish dumpling is smooth and crunchy. The Tee Po is crispy, crunchy and definitely add to the complex flavour of this dish. Yum Yum. Overall, the Teochew Fishball Noodle in Ah Ho is definitely something to savour. I have returned here once more with LD, and she agrees with me, the fishball noodle here is good. So if you are Fishball Noodle lovers, you need to check out this place. Cheers!! Note: When I was doing my prep work for this review, I notice that Ah Ho has been around since the 1970s. Some said the quality has drop compare to the past. However, I only tried Ah Ho recently and I still find them to be very good. 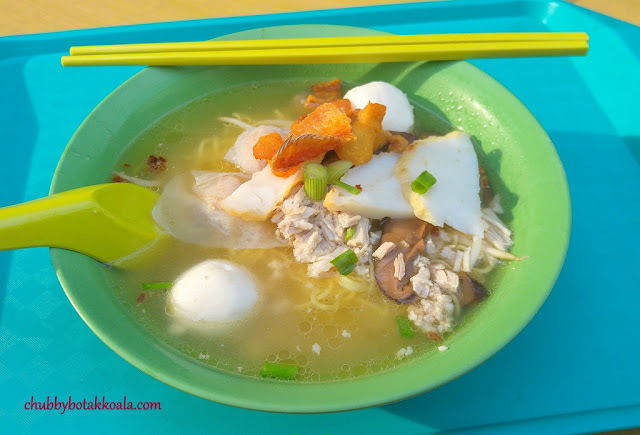 A lot of the elderly order Kway Teow Soup, but I just like my noodle better.